Searching for correlations and similarities in large datasets of time-varying information, such as brain signals, is a formidable task. One technique researchers use to test for such correlation is to analyze the signal's frequency composition: the mix of slow and fast oscillations contained in the waveform. However, these spectral-density analyses contain a lot of low-level background noise, and so it can be difficult to identify genuine correlations from the raw spectral-density function (SDF). "Most existing methods either estimate the spectral density separately or suffer from computational issues," says Chen. "Collective estimation is statistically more efficient," he explains, "and by applying a clustering technique to reduce the dimensionality of the data, we could develop a computationally efficient method that outperforms commonly used methods and can also visualize the similarity among time series." The key challenge in developing this approach was coming up with a way to ensure that the SDFs estimated from the times series were smooth. "Because we only had the observed time-series data to work with, we had to develop a new criterion for estimating the spectral density," says Chen. "We used a measure of how consistent the statistical model is to the data combined with a measure of the smoothness of the estimated function." The team tested their collective SDF estimation method by using it to detect correlations among brain regions using EEG recordings from 194 electrodes placed on a subject's scalp. 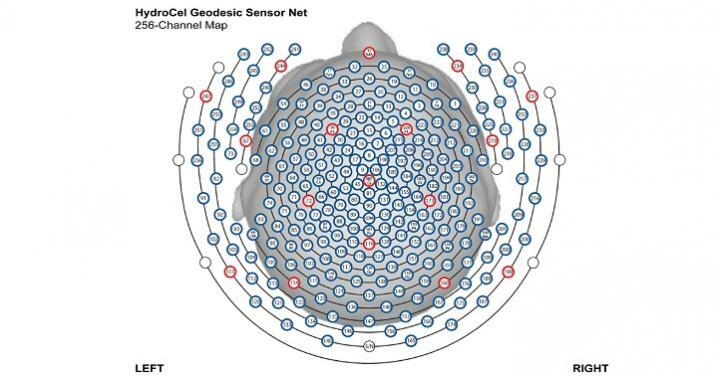 "By clustering the brain signals from different brain locations, we were able to identify brain regions where the EEG signals share similar waveforms," says Chen.